Medical services in the country may grind to a halt as medical doctors under the aegis of the Nigerian Medical Association (NMA) have threatened to join other health workers on an indefinite strike should the Federal Government fail to meet their demands by Wednesday, July 15. The NMA has for long been agitating for better pay and improved conditions of service for doctors in the Federal Service. The main request of the doctors was the adoption and implementation of a Medical Service Scale (MSS) for doctors in government employment. National Secretary of NMA, Dr. Kenneth Okoro, told The Guardian in a telephone interview: "We had given the government June 4, 2009 deadline to meet our demands but with pleas from the minister, we extended it by 28 days, which would expire on July 15, 2009. If the government did not meet our demands by July 15, 2009, the apex body of the NMA would meet to decide on the next step. I can tell you the threat of withdrawal of services is real." However, Minister of Health, Prof. Babatunde Osotimehin, is pleading with the doctors not to go on strike because there will be needless loss of lives. He said the situation could be avoided if the doctors can delay the call for immediate implementation of their pay package by another two months maximum. Osotimehin told The Guardian: "We note that lives of innocent Nigerians once lost can never be regained. I call on all Nigerians to join in this plea to the NMA and all doctors not to embark on the threatened strike action. I advocate the collective interest of all health professionals." According to him, there is no disagreement or dispute between the government and the doctors. Indeed, there is already a signed agreement, wherein the government has acceded to their demands. "There is a due process that must be followed within the government system for the agreement to be implemented, in order to make for appropriate planning. That due process is currently being followed. "There was no agreement on the date by which this must have been implemented. The NMA unilaterally stipulated a deadline of July 15. "It will take longer than July 15 for the agreement to come to the point of implementation. The Minister of Health has given his word and pleaded with doctors that the process will have ended before or by the end of September." The Guardian learnt that the minister called and hosted a meeting of the executives of the association along with its state chairmen on Tuesday, July 7, 2009, which is a week to the deadline given by the NMA, to explain the efforts of the government so far and the due process to be followed. Special Adviser to the Minister on Media, Mr. Niyi Ojuolape, said: "He pleaded for more time in order for the efforts so far put into the process to come to fruition. He met with them privately speaking to them as doctor to doctors. He requested on his honour for the doctors to trust him as one of their own. "The minister's main concern is the unnecessary loss of lives and pain that a strike action will occasion. Unfortunately, this does not seem to go down well with the doctors who said that strike action is the only language that government understands, even though they appreciate the minister's concern and solidarity. His pleas about the noble nature of their calling which is to care for the weak did not achieve the purpose. He has fixed another meeting with them for July 14 when they will be having an expanded meeting. It is hoped that reason will prevail by the time they meet again." The Guardian reliably gathered that the President has already expressed his willingness and commitment in principle to this process and it is expected that as soon as the figures are put together, the agreement will be put into effect. The agitation for improved wages and benefits has been on for over 11 years. In a related development, the Director-General of the National Agency for Food, Drug Administration and Control (NAFDAC), Dr. Paul Orhii, told The Guardian yesterday that the resolution of the ongoing strike by 'junior workers' of the agency is beyond his office. Staff of the agency had on Tuesday July 7, 2009 joined the National Health Workers Union to down tools to protest non-implementation of the approved monetisation by the Federal Government. The NAFDAC office at Oshodi, Lagos State, has been shut to the public. Visitors and clients who wanted to do business with the agency were not allowed access. 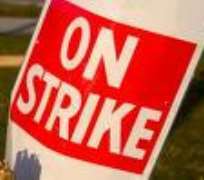 Orhii said: "The junior workers have joined the health workers strike. It does not have anything to do with NAFDAC. We are working here. I am in my office and the headquarters here is open to the public."